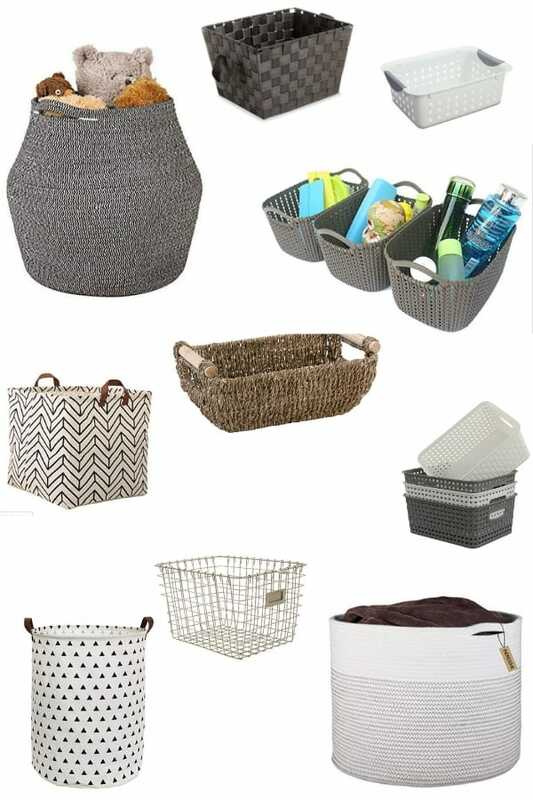 If you love organizing with baskets, finding a good deal on cute baskets that meet your storage needs is the best! 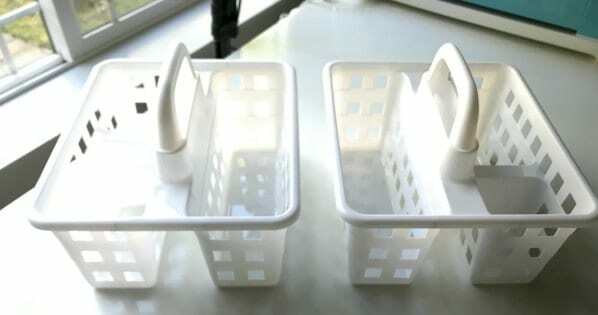 Inexpensive storage baskets are easy to find, if you know the right places to look for them. In this article, I’m going to show you some of my favorite cheap baskets for organization, and tell you some of my strategies for finding the best deals! 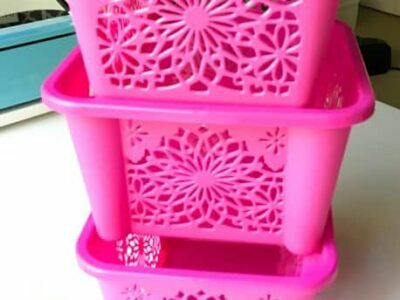 When I’m trying out a new organizing idea, I like to find the cheapest baskets possible. That way, if my new idea doesn’t work out as well as I thought it might, I haven’t invested a lot of money. 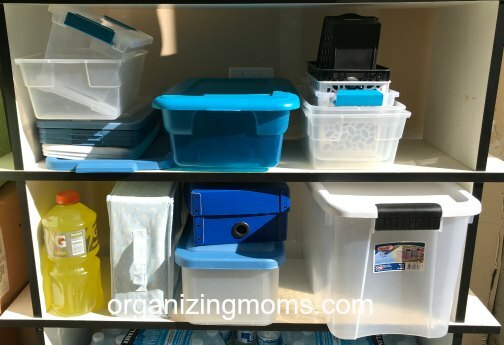 Because I’ve made many organizing mistakes over the years, I’ve set up an area in our garage for storage and baskets and bins that we’re not using. 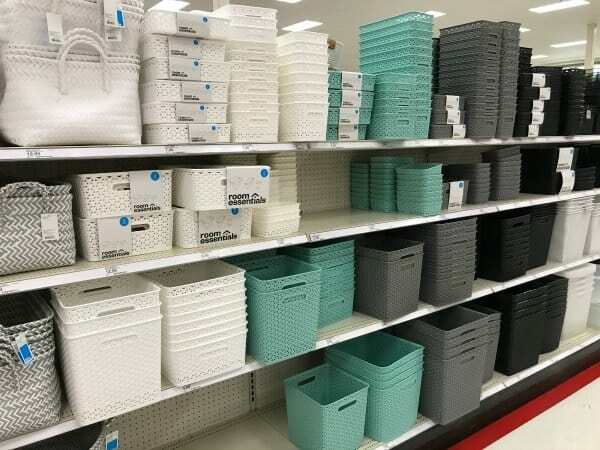 Whenever I have a new organizing idea, I look here first! 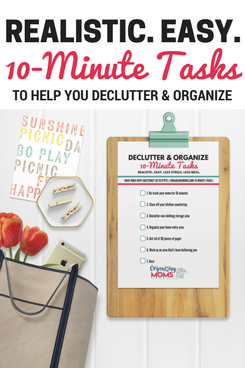 After all, when trying to organize on the cheap, the best way to do it is for free! Dollar Tree – Since everything here is just a dollar, this is where I start. Even if I can find cheap baskets elsewhere, it’s hard to beat getting baskets for a dollar. Ask store employees when they re-stock their baskets and organizing supplies. Their baskets and bins sell quickly, but they tend to restock often. If you don’t see what you want on your first visit, try again in a few days. 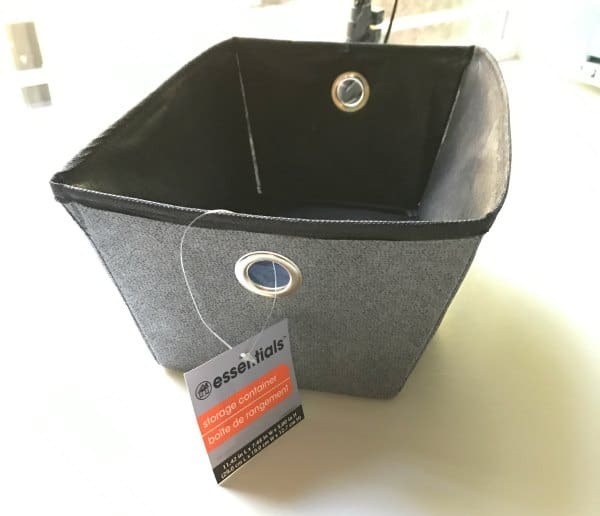 Big Lots – I just recently started checking out Big Lots for storage baskets and organizing tools. Their inventory changes often, so it’s another place to visit periodically to see if they have any new storage solutions. Target – I LOVE the look of Target’s baskets. Their y-weave baskets are my favorite. They are plastic, which makes them easy to clean. And they’re usually not too expensive. Watch for sales at Target and stock up when you see a good deal! I like to order my y-weave baskets online so I can use Ebates and get cash back. I also use my Target debit card to get an additional 5% off. Go here to get a Target debit card. TJ Maxx, Homegoods, Ross, Marshall’s – Discount stores usually have a big section of storage baskets. If you’re looking for something more decorative, these stores are a great place to look! The fabric baskets and bins are usually near the clothes hangers and closet organizers. They have a lot of different colors and shapes. Although these baskets are more expensive, I think they’re worth it! They’re strong, easy-to-clean, and versatile. 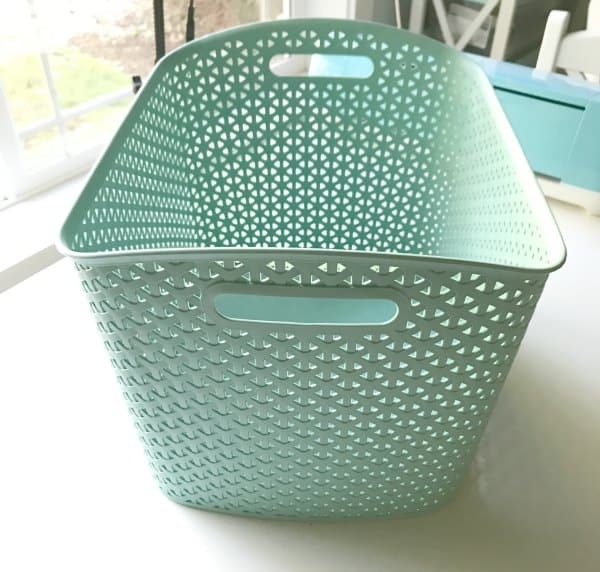 Target has been selling these baskets for a while, and they’re starting to come out with new colors. I like that you can use these baskets anywhere in your home, and they create a cohesive, stylish look. 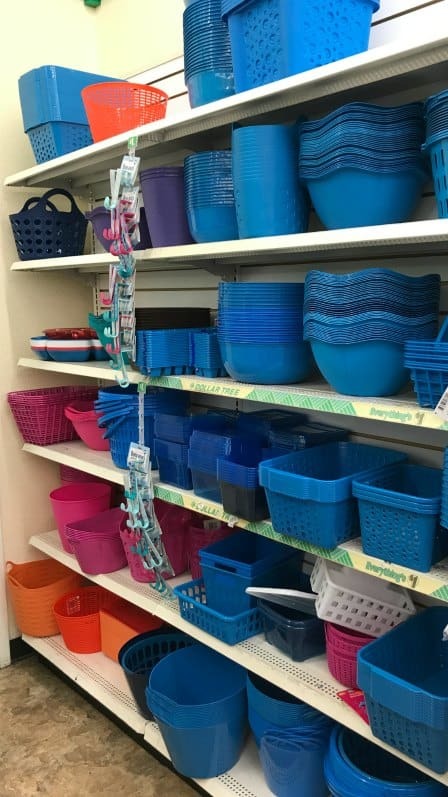 Go here to see all of the different types of y-weave baskets at Target. Amazon also carries some beautiful storage baskets for the home and office. They sometimes carry baskets from IKEA, as well as some cute offerings you might find in stores. 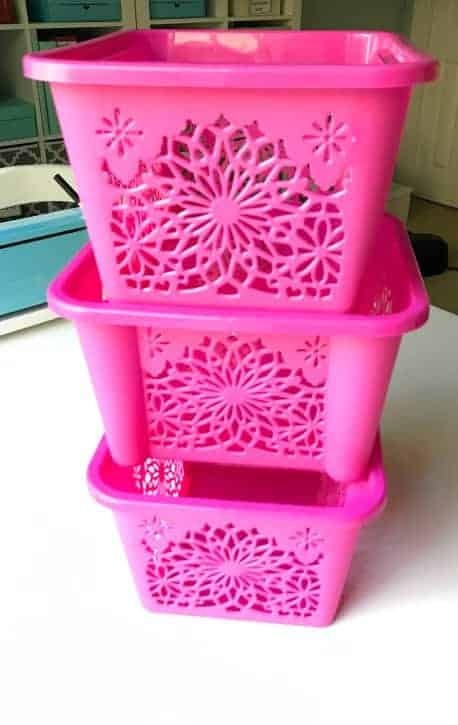 Here’s some inexpensive storage baskets on Amazon. 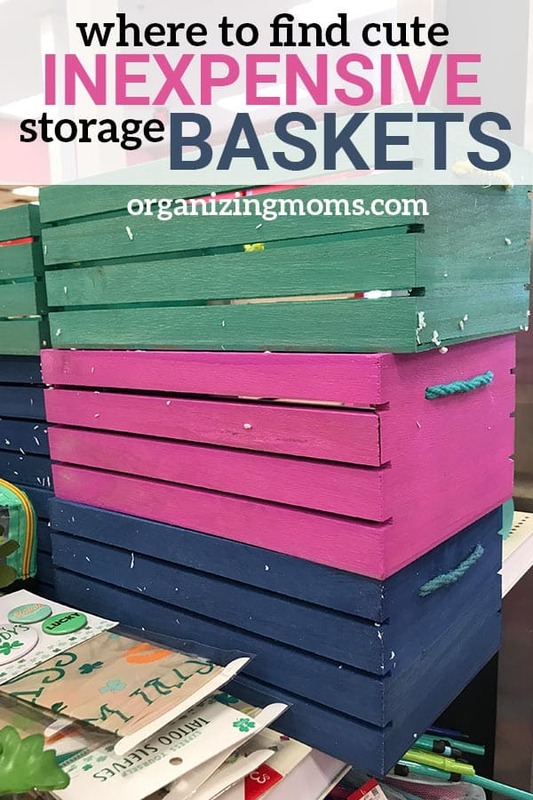 DIY Storage Baskets – another inexpensive option! Smart Ideas for Organizing with Baskets – all of my basket organization ideas in one place!